Fred Harrison | No Rent Grabbing! On January 26, the Dialogue of Civilizations Research Institute hosted its first lecture with author and economic commentator Fred Harrison*, who gave a speech entitled ‘The Economics of Civilisation – The Conflict Resolution Paradigm for the Age of Geopolitical Crisis’. Harrison describes an analytical framework that facilitates the comparison of the financial foundations of the civilisation model with the systemic pillars on which liberal democracies were constructed. In the attached interview (please click for watching the video), Harrison describes the reasons for government failure in the realm of tax policy. 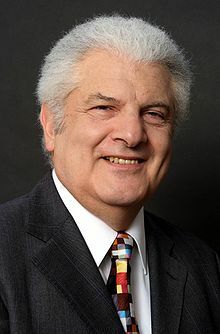 * Fred Harrison (born 1944) is a British author, economic commentator, and corporate policy advisor, and is Research Director of the London-based Land Research Trust. He is notable for his stance on land reform and belief that an over-reliance on land, property, and mortgages weakens economic structures and makes companies vulnerable to economic collapse. Politics: What’s the Big Idea? All over Europe, small parties have sprung up to register discontent with austerity. People are fed up, and they are determined to voice their opposition to mainstream politicians who have no solutions to persistent problems. Syriza was the first to make the breakthrough, but the people of Greece will end up realising that the party-from-nowhere is also bereft of ideas. Podemos may be the next to make it to the big stage, in the Spanish elections next year. But, as of today, they don’t have better answers than the Syriza politicians who are currently being humiliated by the IMF and Europe’s finance ministers. But these and the other new parties will not endure, unless they come up with a Big Idea. Can they? That’s the only way to break through into the mainstream. What happened in Britain is revealing. In the 19th century, the minority Liberals made the breakthrough to government with Free Trade as their Big Idea. In the 20th century, the embryonic Labour Party made the breakthrough with its big idea – socialism was going to cure all. The Liberals, and Labour, have now been humiliated by events. They failed to make the difference to the recurring booms and busts and human degradation, which stem from a set of rules that manifests itself in the economics of apartheid. There is one big idea only left to be picked up: reform the finances of government, to liberate people in the workplace. That would automatically trigger the rehabilitation of both the extended family and both the material and cultural fabric of communities. Furthermore, removing the taxes that debilitate and distort both the economy and interpersonal relationships in a million-and-one ways would soon be perceived as the one strategy that can launch the process of renegotiating the terms of deployment between nations. It’s a simple idea. It boils down to a homely proposition, one that governs our private lives: keep what you create, pay for what you receive. But it constitutes a revolutionary challenge to those who occupy the seats of power. It forces transparency on “the system”, and makes politicians accountable for their actions. Doesn’t that sound like the Big Idea for a small party wanting to make it into the big time?